Glencairn Museum, Bryn Athyn, Pennsylvania. Click on image for a larger version. A museum, according to The Oxford English Dictionary, is ". . .a building or institution in which objects of historical, scientific, artistic, or cultural interest are preserved and exhibited. "Etymologically, our English word museum is derived from both the classical Greek for "belonging to the Muses" and the classical Latin for "a place holy to the Muses." More often than not, we have these ideas in mind when we visit or research a museum, such as the Metropolitan Museum of Art in New York or the Musée du Louvre in Paris. We are aware of the extraordinary works on display and the inspired artists who created them. However, when do we remember that a museum, although it is an institution, was created by individuals, individuals whose collections form either the core of the museum's collection or a special display? These individuals—patrons and collectors—are sometimes the "invisible" or missing pieces of the puzzle that help us to understand more fully and appreciate more deeply both the idea and the reality of a museum. The Glencairn Museum is no exception, for as both a building and a collection it was the creation of a unique cooperative coalition of patrons, collectors, and an inspired teacher. 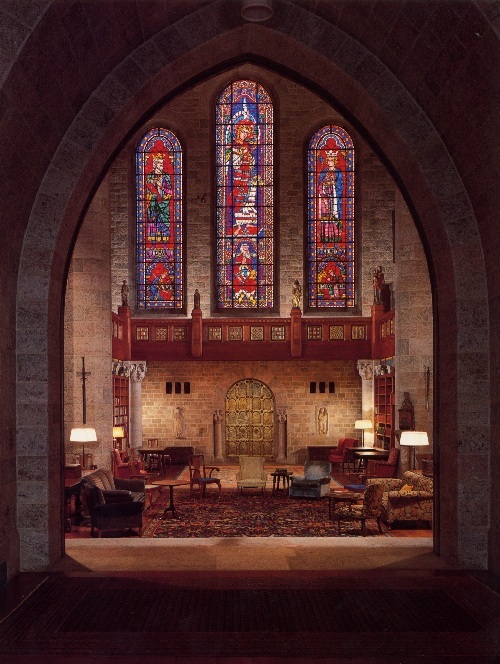 Like the Isabella Stewart Gardner Museum in Boston and the Morgan Library and the Frick Collection in New York City, the Glencairn is a jewel box in what once was a private home. The story of the formation of the collection was shaped by its patrons' visions, reflective of their tastes, and interwoven with the patterns of their lives. William Henry Benade (1816–1905) was the first chancellor of the Academy School of the New Church established in Philadelphia in 1876. He was committed to the importance of the history of religion as both an investigation into the inspired texts of the eighteenth-century Swedish philosopher and theologian Emanuel Swedenborg (1688–1772) and as further affirmation of Swedenborg's teachings, especially of the Ancient Church. Benade recognized the pedagogical importance of an art collection for the study of religion, especially for the history of religions. During a two-year trip to Europe and the Middle East, Benade sought out members of the New Church in France, England, and Germany; participated in professional conferences; and formally began the collection of the Academy School Museum with two significant purchases in 1878 from the Lanzone Collection and a smaller collection of "Etruscan Antiquities." For some of that time, Benade was accompanied by John Pitcairn (1841–1916), a Scottish immigrant who became a successful Pennsylvania railroad and oil industrialist and eventually co-founder of Pittsburgh Plate Glass. A member of the New Church, Pitcairn was both conversation partner and traveling companion for Benade, and the first patron of the Academy School Museum. During one of the brief stopovers in Italy, Benade made the acquaintance of Professor Rodolfo Lanzone (1834–95), who worked at the Egyptian Museum in Turin. The Egyptologist was in personal possession of a collection of some 1,300 Egyptian artifacts that he offered to Benade for the then-modest price of $300. An enthusiastic Benade wrote to Pitcairn both to purchase the Lanzone Collection for the new museum and to support the publication of Lanzone's facsimile transliteration of the papyrus identified as Le Domicile des Esprits, privately published in 1879. When the original papyrus was destroyed in a fire, Lanzone's facsimile edition became the only historical witness to the meaning of The Book of that which is in the Domicile of the Spirit. For Benade, both the collection and, more importantly, the papyrus manuscript confirmed what Swedenborg taught regarding the Ancient Church. With the I.anzone Collection, and a smaller collection of Etruscan objects in hand, Benade returned to Philadelphia, where he set up a "teaching museum" for the history of religion in a room in his home, regularly inviting students for lessons or offering public lectures there. Eventually, John Pitcairn and his wife, Gertrude Starkey, purchased a large tract of land just outside Philadelphia. Bryn Athyn, from the Gaelic for "Hill of Cohesion," became the center for the New Church community, and the new family home of the Pitcairns, called Cairnwood. The Academe and its museum also moved from Philadelphia to Bryn Athyn in the early 1900s. The museum was moved initially to the third floor of the library, where during the 1910s and 1920s works were presented as visual geography for the students. During the tenure of Reginald Brown as Head Librarian, the museum received meaningful attention as he organized the collection and created displays for the study of the history of religion. However, during the years following Brown's death, the museum suffered from inattention as the collection experienced the indignity of being dispersed in bookshelves, cabinets, and corners; the library space was turned over for other use following a fire that destroyed Benade Hall in 1948. By the early 1970s the museum had been reorganized and re-conceived around the original idea of teaching the history of religions. A new museum committee was established with the multiple purposes of inventorying, cataloguing, and displaying the collection for the study of ancient religions. Although John Pitcairn's son, Raymond (1885–1966), had studied law, his father asked him to oversee the construction of a cathedral for the New Church in Bryn Athyn. The initial building contract with the Boston architectural firm of Cram and Ferguson was nullified in 1917, when the younger Pitcairn fired the renowned American architect Ralph Adams Cram. The two men—patron and architect—had collided over both design and building procedures for the cathedral. As he explained in his address to the Public Session of the Council of Clergy on June 26, 1920, Raymond Pitcairn identified his love for the medieval as both aesthetic and spiritual. Self-taught both as an architect and an art historian, Raymond cited the influences of Arthur Kingsley Porter, Charles Eliot Norton, and Émile Mâle on both his own understanding of the medieval and of the design of Bryn Athyn cathedral. Raymond gathered together an extraordinary library of books and photographs, subscribed to scholarly journals, and attended lectures by medieval specialists. Like others—painters, writers, even theologians—before him, Raymond was enamored of the unity and brilliance of the principles of the "medieval synthesis" and wanted to make that unity of art, life, and religion a guiding principle for the New Church, especially the new members of the New Church. As the Romanesque and Gothic structure was being built, Raymond, as overseer and master architect, re-established the guild system, even seeking regular conversation and advice from the workers. Taking his cue from Porter's magisterial Medieval Architecture (1909), Pitcairn was emphatic that a cathedral should rise organically. Instead of working with master plans and detailed architectural drawings, lie directed the siting and building of a life-size plaster model for use both by himself as master architect and by the varied craftsmen working on the actual building of the cathedral. Further, he continued a tradition begun by his mother on his third birthday—the Grand Tour, which for Raymond became an annual pilgrimage. These European tours, especially in France, during the years Bryn Athyn Cathedral was being built, were both a source of architectural inspiration and a buying expedition for medieval works ranging from stained-glass windows to carved capitals, which served as both inspiration and resource materials for the cathedral craftsmen. No sooner had Raymond finished being the overseer and master builder of this New Church edifice, than he recognized the need—both for his growing family and his expanding medieval art collection—for more space. So he reprised his role as architect to design and direct the building of his new home, Glencairn, from 1928 to 1939. He created a space that was medieval in tone and scale, grand yet intimate, and clearly for larger purposes than a family home. Glencairn would be public space for Bryn Athyn community events such as concerts, holiday fêtes, and civic meetings, as well as display space for his art collection. The visual and public center of this ninety-room, ten-floor building was the Great Hall with a ceiling that peaked at eighty feet. The stately elegance was enhanced on the north and west walls by the six stained-glass windows replicated from Chartres Cathedral. The centerpiece, however, remains the central window, originally in Soissons Cathedral (1215), which Raymond purchased in 1921, often identified as the finest piece of medieval art in America. Raymond worked with the craftsmen to integrate the original medieval pieces such as capitals, sculptures, and reliefs into the doorways, archways, and halls of Glencairn. Great Hall at the Glencairn Museum. Click on image for a larger version. What may have started in the 1910s as a pragmatic enterprise—studying the craftsmanship, materials, design and iconography of medieval art and architecture toward the building of Bryn Athyn Cathedral—culminated in the foundation of what Philippe de Montebello, Director of the Metropolitan Museum of Art, has identified as the ". . .finest and most extensive collection of medieval sculpture and stained glass in private hands." Fortunately for Raymond Pitcairn, from the 1910s to the 1930s, the period of his collecting, medieval art was not particularly popular. He gathered together from both his traveling expeditions and his relationships with dealers a collection of over 1,000 pieces, including medieval carvings, sculptures, architectural fragments, stained glass, and illuminated manuscripts. The other major collector of medieval materials at this time was George Grey Barnard, who established the Cloisters Collection, presently part of the Metropolitan Museum of Art. When the Cloisters opened in 1914, Pitcairn became a frequent visitor. His friend Henry C. Lawrence began a collection of medieval stained glass in 1912. This stockbroker's exquisite collection of' over forty works was completed in 1918. When Lawrence died in 1921, the collection was exhibited and auctioned by the American Art Galleries. Pitcairn's previous purchases had been made either in Europe, on-site, or from European and American dealers. Interested in obtaining several key pieces from Lawrence's collection, he competed successfully with the renowned dealer Joseph Duveen. He then learned that Barnard was on the verge of bankruptcy and purchased medieval works from his private collection. After the 1920s, Pitcairn expanded his collections to include Classical Greek and Roman works, and also the art of diverse cultures. Nonetheless, the heart of the Raymond Pitcairn Collection is the medieval art, which has been featured in several significant exhibitions: at the Philadelphia Museum of Art in 1931, in "Medieval Art from Private Collections" at the Cloisters in 1968, "The Year 1200" at the Metropolitan Museum of Art in 1970, and "The Royal Academy of Saint-Denis in the Time of the Abbot Suger 1122–5l" at the Cloisters in 1981. The Metropolitan recognized the singular significance of this collection in the special exhibition "Radiance and Reflection: Medieval Art from the Raymond Pitcairn Collection" in 1982. Following the death of Raymond's widow, Mildred Glenn Pitcairn, in 1979, the Glencairn estate, including the building and land, and the collections lovingly collected by the Pitcairns were bequeathed to the Academy of the New Church. Thereafter, the "teaching museum" collections established by Bishop Benade were merged with the Pitcairn collection to form the permanent collection of the Glencairn Museum. All works were transferred to Glencairn, as the main floors of the house were preserved as "public space" to serve school and community groups for cultural and social events, including concerts and a public lecture series. 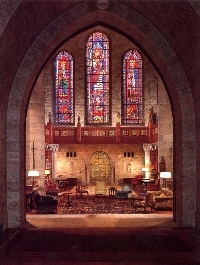 The remaining floors of Glencairn were converted to museum galleries for the Pitcairn Collection and the Academy Museum collections, and administrative offices. Given its focus upon the history and relationship of art and religion, Glencairn's displays are arranged by religion with rooms dedicated to the Classical World, Egypt, Native American traditions, Islam, Hinduism, and Buddhism, as well as Christianity. Exhibited pieces range from Assyrian reliefs to ancient Egyptian ceremonial bowls to Islamic prayer rugs to carved Buddha images, as well as the extraordinary medieval stained-glass windows. There is also a gallery dedicated to the "Art of the New Church" that includes works by John Flaxman (1891–1959), Thomas Anshutz (1851–1912), Winfred Hyatt (1891–1959), and Nishan Yardumian (1947–86). Beyond the permanent displays, Glencairn offers occasional special exhibitions and topical tours related to the history of religion, including "Life in the Afterlife," "Masterpieces of Religious Art," and "Angels, Devils, and Spirits." Walking through the many galleries, I was taken by the richness and diversity of these collections. Without doubt your first entry into the Great Hall—replete with those medieval stained-glass windows, statuary, oriental rugs, and peaked ceiling—momentarily transports you to another time and place. A fourteenth-century fresco Annunciation, showing Mary and the angel Gabriel, from the Church of Santa Maria inter Angelos, Spoleto, invites considering the iconography of the Annunciation as it evolves from the Byzantine iconic tradition. The gestures, bodily postures, and costuming of Mary and the angel are reminiscent of that transitional artistic style often identified as "Italo-Byzantine," but the deep blue background announces the work as Italian. However, the placement of Mary to the viewer's left and Gabriel to the viewer's right becomes rare as medieval Mariologv elevates her position to that of Queen of Heaven, even at the moment of the Annunciation. A fifteenth-century French sculpture Visitation showing Mary and Elizabeth is gently rendered as the elder cousin's hands lovingly touch the swell of Mary's pregnant belly. The rhythmic flow of the drapery of their costumes highlights their bodily movements. This work is appropriately positioned within a niche with a twelfth-century French arch displaying a progression of mythical and natural animals, and ostensibly the figure of Adam in the act of naming the animals. An illuminated leaf from a Book of Hours (c. 1415, Paris) colorfully presents the Angel Appearing to the Shepherds with an elegantly detailed floral border which moves the viewer's eye upward from the sheep resting in the verdant landscape and the shepherds seated on the rocky ledge. The touching rendition of the little sheepdog resting in the foreground, with his neck stretched upward as he attends to the angelic pronouncement, is one of those delightful medieval touches signifying the recognition of this event by all creatures. A polychromed oak Madonna and Child (fourteenth century, Lorraine, France) is a graceful symbol of the event forecast by Gabriel, anticipated by Elizabeth, and announced to the shepherds. The dramatic but gentle s-shape curve of Mary's body both highlights her femininity and draws the viewer's eye upward toward the precious Child who rests ore her upper left arm, almost seated on her shoulder. The tender relationship between mother and child is presented in a naturalistic exchange of facial expressions, and the Child's right hand delicately caresses his mother's veil. Other world religions are represented in the specialized display rooms throughout the Glencairn Museum. For example, the elegant and lyrical beauty of a black granite Ancient Egyptian libation bowl (late Eighteenth or early Nineteenth Dynasty, c. 1400–1300 B.C.E.) is enhanced by the delicate images of female supplicants whose chins rest appropriately on the rim of the bowl as their hands tenderly caress the cartouche border. An extraordinary female head, ostensibly Aphrodite or Athena, captures your eye as you enter the room dedicated to the Classical Mediterranean World. A gilt and lacquered bronze Seated Figure of a Taoist Dignitary (Ming Dynasty, l368–1644) highlights the space given over to Asian traditions. The Glencairn Museum has evolved into the fulfillment of Bishop Benade's vision of a museum dedicated to the teaching of the history of religions. It is unique in its dedication to collecting and displaying the art of world religions in the United States. The only other such museums of which I am aware are St. Mungo's Museum of Art and Religion in Glasgow and the Museum of World Religions in Taipei. While there are museums that specialize in modern religious art, such as the Museum of Contemporary Religious Art in St. Louis and the Gallery of Modern Religious Art in Vatican City, their focus is narrower than the wide lens of the Glencairn Museum. 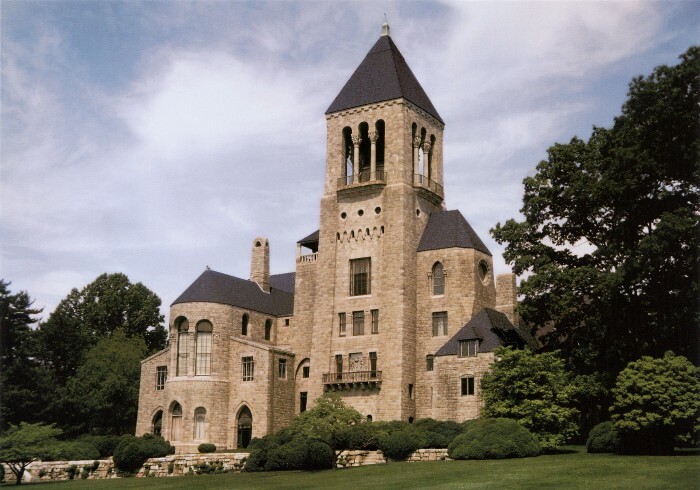 The Glencairn Museum is located at 1001 Cathedral Road, Bryn Athyn, Pennsylvania 19009-0757. Open by appointment 9 a.m. to 5 p.m., Mondays through Saturdays, with Sunday tours often available. To confirm opening times, admissions fees, and tour topics, please consult either www.glencairnmuseum.org or call (267) 502-2600. Diane Apostolos-Cappadona is Adjunct Professor in Religious Art and Cultural History in the Center for Muslim-Christian Understanding, Georgetown University. She served as Consultant for Art and Religion for the Encyclopedia of Religion, 2nd edition (2004) and as Advisor for Art/World Iconography for The Dictionary of the History of Ideas, 2nd edition (2004).